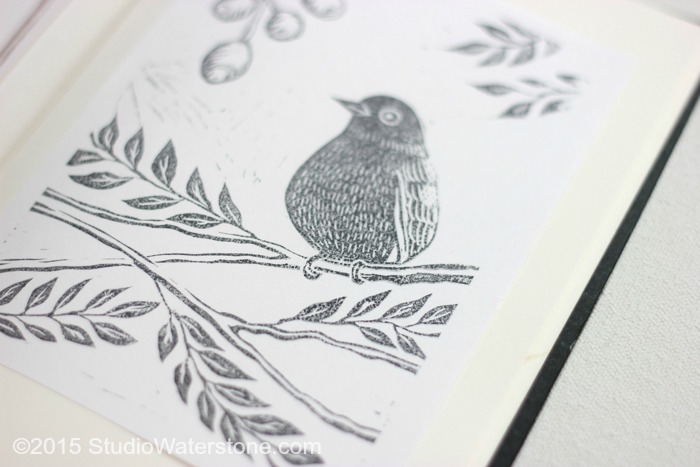 I'm beginning to obsess a little over this printmaking. As in I really want to make it look a little more professional. Took 35 weeks, but hey. After a lightbulb moment, I dug out my large, artist's desk magnifying glass to combat the eye strain I've had for the previous 34 carvings. THAT made a difference. 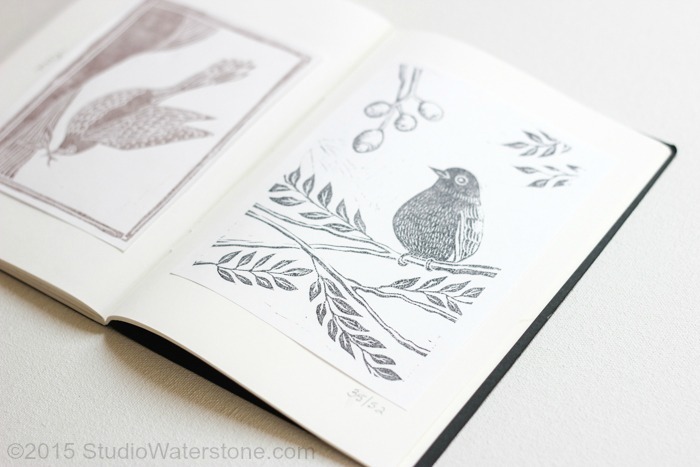 Then I went out and purchased actual printmaking paper - it does seem to make a difference in the quality. 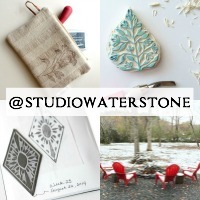 Any printmakers out there want to recommend a good, yet affordable paper? I'd be much obliged. In hindsight, I wish that I'd carved a little frame similar to last week's carving. You can see it on the previous page in my little booklet. Next time. 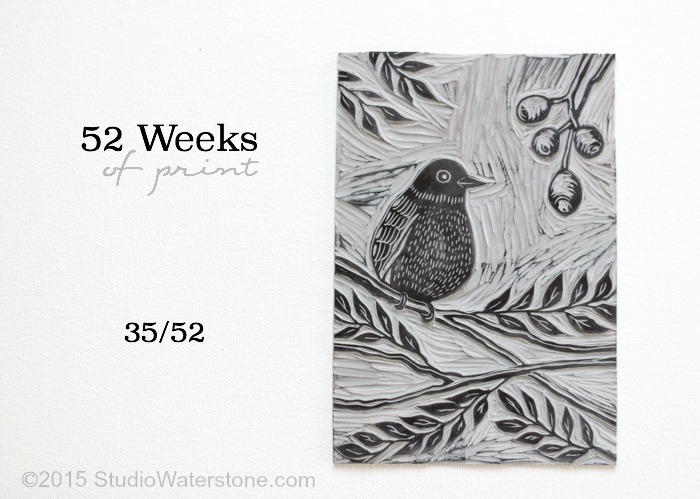 To see weeks 1-34, just click here or head over to my Pinterest board. Beautiful work Lori! 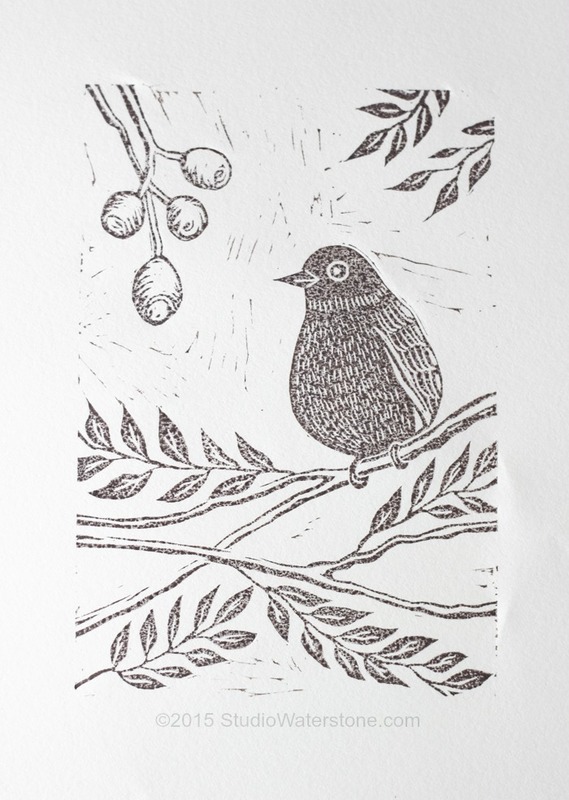 You have come a long way with your printmaking - although I love your earlier efforts too - all very inspiring. Thanks, Karen. Some of my favorites are the early ones, too. Absolutely gorgeous... I love you work! OMG, this needs to be Chrismtas cards, Lori !!! It's so beautiful ! I'm really really admirative, you are so skilled. Maybe it will motivate me to grab the carving tools again. Oh, Sonia, thank you so much! I was actually thinking "maybe" Christmas card when I did it. 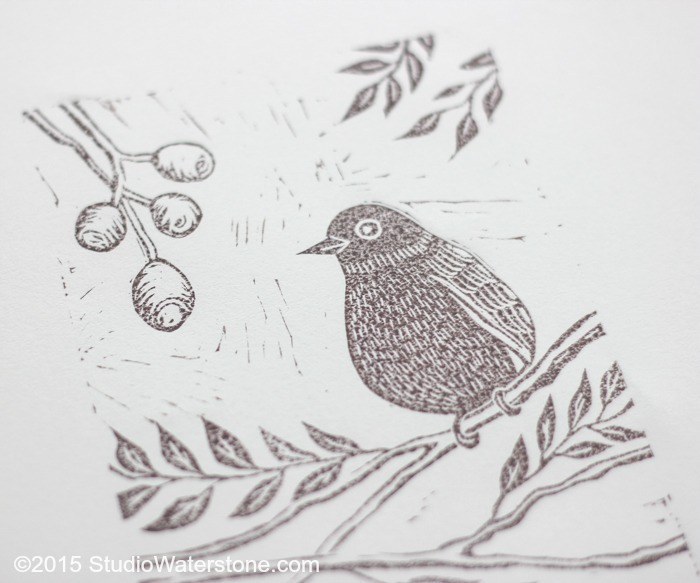 I just have to make a separate stamp for red berries!